Connecting and Supporting Melanoma Patients with a Peer who has Shared a Similar Path. Providing patients with someone who has been down the same path can provide immeasurable support. The “Within Reach” Peer to Peer Patient Support Program provides an opportunity for new patients, caregivers, or patients with a change in their diagnosis, to connect with another patient who shares a similar path. Peer to Peer support does not replace professional counselling and/or medical advice. The program is designed to connect melanoma patients to a trained and certified peer who has also faced melanoma. Peer mentors are assigned (to the best of MNC’s ability) by similar geographic location, diagnosis, life situation, and age. Peers will share their stories, act as a supportive mentor and provide support. This service is offered by telephone and can connect patients anywhere in Canada. Patients can create a special connection with one another and be able to relieve some of their stress, worries, concerns, and fears that come from living with melanoma. Cancer can be a lonely road, and sometimes it’s comforting to have someone that you can communicate with honestly about your thoughts and feelings. Someone who isn’t a friend or family member. Someone you don’t have to handle with kid gloves. Someone who has walked a similar path to the one you’re travelling. Hopefully I can be that someone. Watch this introduction to MNC Peer to Peer Patient Support Program. Replacing the fear of cancer with a community of hope. 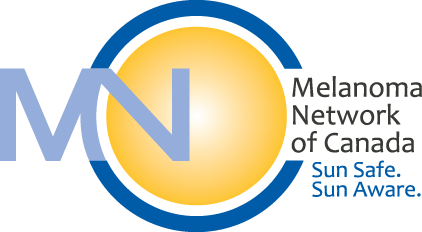 The Melanoma Network of Canada has a number of free services for patients, caregivers and healthcare professionals.